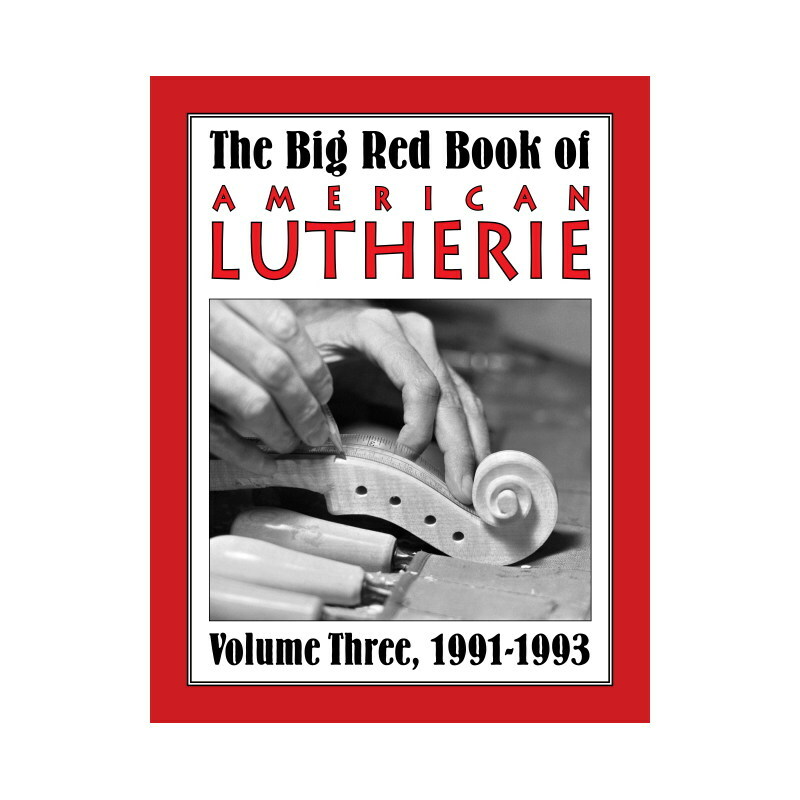 Kezdőlap » Kiadványok » Könyv » Hangszerépítés » Big Red Book of American Lutherie Vol. 4. From American Lutherie #37-48. Highlights include Jimmy D'Aquisto’s archtop guitar construction; Bryan Galloup resets a neck; Robert Ruck on tailoring classic guitar sound; Dan Erlewine on vintage Fender finishing; hammered dulcimer making; Felix Manzanero's antique guitar collection; Guy Rabut's innovative violin design; flattop guitar manufacturers' forum with Collings, Ferguson, Hoover, Larrivee, and Taylor; Making Baroque guitars with Lawrence K. Brown; Neapolitan mandolin by Robert Lundberg; lattice bracing; classic guitar intonation; flattop guitar brace shaving; detailed drawings of Martin tiple, Segovia’s 1912 Ramirez, Hammered dulcimer, and English treble gamba; Michael Darnton's Violin Q&A series; Rick Turner’s Electronic Answer Man column; and meet makers Nick Kukich, Eric Meyer, Bishop Cochran, Henry Strobel, Leo Fender and Doc Kaufman, Jim Williams, Jess Wells, Manuel Velazquez, Michael Gurian, Saul Koll, Geoff Stelling, Marc Silber, and John Mello.